Each of these Machine Cross Stitch Designs include 10 different size/densities and come in 8 machine formats all for ONE SINGLE PRICE. OH!, these are just too cute!! There are a total of 16 bugs in this set. Original artwork is by jdsclipart or cute-n-lovey. With permission, Marcia Manning has designed and digitized for machine cross stitch. 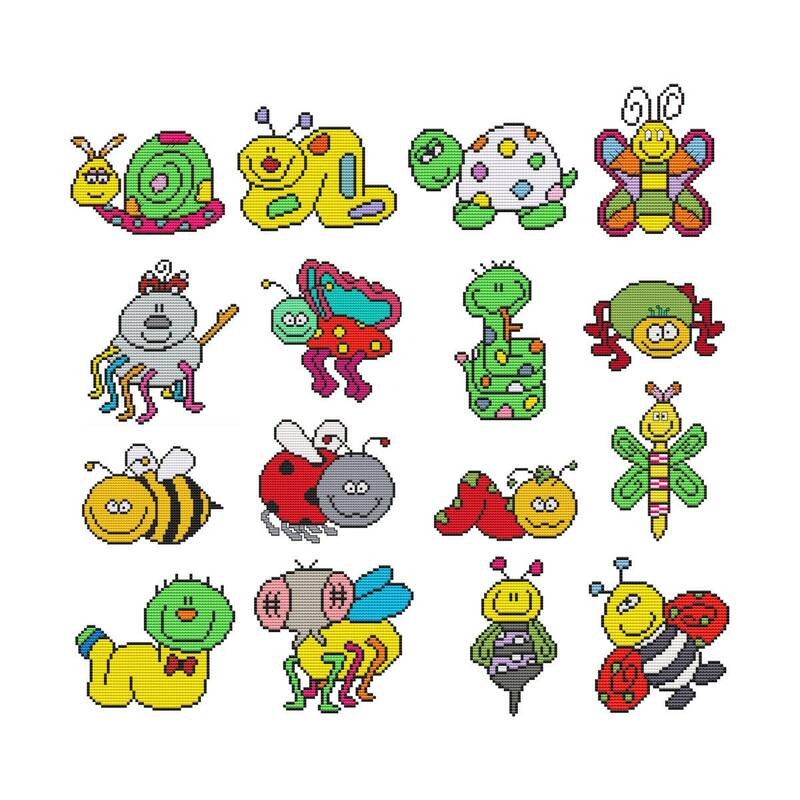 Model of these Cute Bugs are sewn into a quilt pattern called I Spy With A Twist. Designs fit 4x4 and larger hoops. Designs come in 10 size/densities. 22-2 count, 18-2 count, 18-4 count, 16-4 count, 16-6 count, 14-2 count, 14-4 count, 14-6 count, 11-6 count, and 11-10 count. The dash represents the density, the first number represents the number of stitches (Xs) per inch.